Queen Anne's War (1702–1713), as the North American theater of the War of the Spanish Succession was known in the British colonies, was the second in a series of French and Indian Wars fought between France and England, later Great Britain, in North America for control of the continent. The War of the Spanish Succession was primarily fought in Europe. In addition to the two main combatants, the war also involved numerous Native American tribes allied with each nation, and Spain, which was allied with France. It was also known as the Third Indian War. Spanish Florida and the English Province of Carolina were each subjected to attacks from the other, and the English engaged the French based at Mobile in what was essentially a proxy war involving primarily allied Indians on both sides. The southern war, although it did not result in significant territorial changes, had the effect of nearly wiping out the Indian population of Spanish Florida, including parts of present-day southern Georgia, and destroying Spain's network of missions in the area. The English colonies of New England fought with French and Indian forces based in Acadia and Canada. Quebec City was repeatedly targeted (but never successfully reached) by British expeditions, and the Acadian capital Port Royal was taken in 1710. The French and Wabanaki Confederacy sought to thwart New England expansion into Acadia, whose border New France defined as the Kennebec River in southern Maine. Toward this end, they executed raids against targets in Massachusetts (including present-day Maine), most famously raiding Deerfield in 1704. On Newfoundland, English colonists based at St. John's disputed control of the island with the French based at Plaisance. Most of the conflict consisted of economically destructive raids against the other side's settlements. The French successfully captured St. John's in 1709, but the British quickly reoccupied it after the French abandoned it. Following a preliminary peace in 1712, the Treaty of Utrecht ended the war in 1713. It resulted in the French cession of claims to the territories of Hudson Bay, Acadia, and Newfoundland to Britain, while retaining Cape Breton and other islands in the Gulf of St. Lawrence. Some of its terms were ambiguous, and concerns of various Indian tribes were not included in the treaty, setting the stage for future conflicts. For more details on causes of the war in Europe, see War of the Spanish Succession. In 1701, following the death in late 1700 of King Charles II, war broke out over who should succeed him to the Spanish throne. Although the war was at first restricted to a few powers in Europe, in May 1702 it widened when England declared war on Spain and France. The hostilities in North America were further encouraged by existing frictions along the frontier areas separating the colonies of these powers. This disharmony was most pronounced along the northern and southwestern frontiers of the English colonies, which then stretched from the Province of Carolina in the south to the Province of Massachusetts Bay in the north, with additional colonial settlements or trading outposts on Newfoundland and at Hudson Bay. The total population of the English colonies at the time has been estimated at 250,000, with Virginia and New England dominating. The population centers of these colonies were concentrated along the coast, with small settlements inland, sometimes reaching as far as the Appalachian Mountains. Most Europeans colonists knew very little of the interior of the continent, to the west of the Appalachians and south of the Great Lakes. This area was dominated by native tribes, although French and English traders had penetrated the area. Spanish missionaries in La Florida had established a network of missions to convert the indigenous inhabitants to Roman Catholicism. The Spanish population was relatively small (about 1,500), and the Indian population they ministered to has been estimated to number 20,000. French explorers had located the mouth of the Mississippi River, near which they established a small colonial presence in 1699 at Fort Maurepas (near present-day Biloxi, Mississippi). From there they began to establish trade routes into the interior, establishing friendly relations with the Choctaw, a large tribe whose natural enemies included the British-allied Chickasaw. All of these populations had suffered to some degree from the introduction of Eurasian infectious diseases like smallpox by early explorers and traders. Queen Anne was occupied with the conflict during her reign. The arrival of the French in the South threatened existing trade links that Carolina colonists had established into the interior, and Spanish territorial claims, creating tension among all three powers. France and Spain, allies in this conflict, had been on opposite sides of the recently ended Nine Years' War. Conflicting territorial claims between Carolina and Florida south of the Savannah River were overlaid by animosity over religious divisions between the Roman Catholic Spanish and the Protestant English along the coast. To the north, the conflict held a strong economic component in addition to territorial disputes. Newfoundland was the site of a British colony based at St. John's, and the French colonial base was at Plaisance, with both sides also holding a number of smaller permanent settlements. The island also had many seasonal settlements used by fishermen from Europe. These colonists, numbering fewer than 2,000 English and 1,000 French permanent settlers (and many more seasonal visitors), competed with one another for the fisheries of the Grand Banks, which were also used by fishermen from Acadia (then encompassing all of present-day Nova Scotia and New Brunswick) and Massachusetts. The border area between Acadia and New England remained uncertain despite battles along the border throughout King William's War. New France defined the border of Acadia as the Kennebec River in southern Maine. There were Catholic missions at Norridgewock and Penobscot and a French settlement in Penobscot Bay near the site of modern Castine, Maine, which had all been bases for attacks on New England settlers migrating toward Acadia during King William's War. The frontier areas between the Saint Lawrence River and the primarily coastal settlements of Massachusetts and New York were still dominated by natives (primarily Abenaki and Iroquois), and the Hudson River–Lake Champlain corridor had also been used for raiding expeditions in both directions in earlier conflicts. Although the Indian threat had receded somewhat due to reductions in the native population as a result of disease and the last war, they were still seen to pose a potent threat to outlying settlements. The Hudson Bay territories (known to the English as Prince Rupert's Land) were not significantly fought over in this war. Although they had been a scene of much dispute by competing French and English companies starting in the 1680s, the 1697 Treaty of Ryswick left France in control of all but one outpost on the bay. The only incident of note was a French attack on that outpost, Fort Albany, in 1709. The Hudson's Bay Company, unhappy that Ryswick had not returned its territories, successfully lobbied for the return of its territories in the negotiations that ended this war. Military technology used in North America was not as developed as it was in Europe. Only a few colonial settlements had stone fortifications (among them St. Augustine, Boston, Quebec, and St. John's) at the start of the war, although Port Royal's fortifications were completed early in the war. Some frontier villages were protected by wooden palisades, but many had little more than fortified wooden houses with gun ports through which defenders could fire, and overhanging second floors from which they might fire down on attackers trying to break in below. Europeans were typically armed with smooth-bore muskets that had a maximum range of about 100 yards (91 m), but were inaccurate at ranges beyond half that distance. Some colonists also carried pikes, while Indian warriors were either supplied with European arms, or were armed with more primitive weapons like tomahawks and bows and arrows. A small number of colonists had training in the operation of cannon and other types of artillery; these were the only effective weapons for attacking significant stone or wooden defenses. English colonists were generally organized into militia companies, and their colonies had no regular military presence beyond a small number in some of the communities of Newfoundland. The French colonists were also organized into militias, but they also had a standing defense force called the troupes de la marine. This force consisted of some experienced officers, and was manned by recruits sent over from France. Numbering between 500 and 1,200, they were spread throughout the territories of New France, with concentrations in the major population centers. Spanish Florida was defended by a few hundred regular troops; Spanish policy was to pacify the Indians in their territory and not to provide them with weapons. This policy had devastating consequences: before the war, Florida held an estimated 8,000 Indians, but this was reduced to 200 after English raids made early in the war. Prominent French and English colonists understood at the turn of the 18th century that control of the Mississippi River would have a significant role in future development and trade, and each developed visionary plans to thwart the other's activities. The French Canadian explorer Pierre Le Moyne d'Iberville had, in the aftermath of the last war, developed a "Project sur la Caroline" that called for establishing relationships with natives in the Mississippi watershed and then leveraging those relationships to push the English off the continent, or at least limit them to coastal areas. In pursuit of this grand strategy he rediscovered the mouth of the Mississippi (which had first been found by La Salle in 1670), and established Fort Maurepas in 1699. From this base, and Fort Louis de la Mobile (founded in 1702), he began to establish relationships with the local Choctaw, Chickasaw, Natchez, and other tribes. Pierre Le Moyne d'Iberville was instrumental in French efforts to control the Mississippi River and trade in the south. English traders and explorers from Carolina had, since its founding in 1670, already established a substantial trading network across the southeastern part of the continent that extended all the way to the Mississippi. Its leaders, who had little respect for the Spanish in Florida, understood the threat posed by the French arrival on the coast. Both Joseph Blake, Carolina's governor until his death in 1700, and James Moore, who succeeded Blake in 1702, articulated visions of expansion to the south and west at the expense of French and Spanish interests. In January 1702, before the war broke out in Europe, Iberville had approached the Spanish with the recommendation that the Apalachee Indians be armed and sent against the English and their allies. The Spanish organized an expedition under Francisco Romo de Uriza that left Pensacola in August for the trading centers of the Carolina backcountry. The English, with advance warning of the expedition, organized a defense at the head of the Flint River and routed the Spanish-led force, with upwards of 500 Spanish-led Indians killed or captured. When formal notification of hostilities arrived, Governor Moore organized and led a force against Spanish Florida. In the 1702 Siege of St. Augustine, 500 English soldiers and militia along with 300 Indians captured and burned the town of St. Augustine. The English were unable to take the main fortress, and withdrew when a Spanish fleet arrived from Havana. In 1706 Carolina successfully repulsed an attack on Charles Town by a combined Spanish and French amphibious force sent from Havana. The Apalachee and Timucua of Spanish Florida were virtually wiped out in a raiding expedition by Moore that became known as the Apalachee Massacre of 1704. Many of the survivors of these raids were relocated to the Savannah River, where they were confined to reservations. Raids consisting of large native forces, sometimes including a small number of white men, continued in the following years, including major expeditions directed at Pensacola in 1707 and Mobile in 1709. The Creek, Yamasee, and Chickasaw, armed and led by Englishmen, dominated these conflicts at the expense of the Choctaw, Timucua, and Apalachee, the latter being somewhat more pacific in nature than the Creek and Chickasaw. Throughout the war, New France and the Wabanaki Confederacy were able to thwart New England expansion into Acadia, whose border New France defined as the Kennebec River in southern Maine. In 1703, Alexandre Leneuf de La Vallière de Beaubassin, who commanded a few French Canadians and 500 of the natives in the Wabanaki Confederacy, led attacks against New England settlements from Wells to Falmouth (present-day Portland, Maine) in the Northeast Coast Campaign. They killed or took prisoner more than 300 settlers. In February 1704, Jean-Baptiste Hertel de Rouville led 250 Abenaki and Caughnawaga Indians and 50 French Canadians in a raid on Deerfield in the Province of Massachusetts Bay, and destroyed the settlement, killing and capturing many colonists. More than 100 captives were taken on an overland journey hundreds of miles north to the Caughnawaga mission village near Montreal, where most of the children who survived were adopted by the Mohawk people. Several adults were later redeemed or released in negotiated prisoner exchanges. Unable to effectively combat these raids, New England colonists retaliated by launching an expedition against Acadia. Led by the famous Indian fighter Benjamin Church, the expedition raided Grand Pré, Chignecto, and other settlements. Although French accounts claim that Church attempted an attack on Acadia's capital, Port Royal, Church's account of the expedition describes a war council in which the expedition decided against making an attack. Father Sébastien Rale was widely suspected of inciting the Norridgewock tribe against the New Englanders. Massachusetts Governor Joseph Dudley put a price on his head. In the winter of 1705, 275 British soldiers under the command of Colonel Winthrop Hilton were dispatched to seize Rale and sack the village. Warned in time, the priest escaped into the woods with his papers, but the militia burned the village and church. French and Wabanaki Confederacy raiding activity continued in northern Massachusetts in 1705, against which the English colonists were unable to mount an effective defense. The raids happened too quickly for defensive forces to organize, and reprisal raids usually found Indian camps and settlements empty. There was a lull in the raiding while the French and English leaders negotiated—with only limited success—the exchange of prisoners. Raids by Indians, sometimes with French participation, persisted until the end of the war. In May 1707, Governor Dudley organized an expedition to take Port Royal. Led by John March, 1,600 men failed to take the fort by siege; a follow-up expedition in August was also repulsed. In response, the French developed an ambitious plan to raid most of the New Hampshire settlements on the Piscataqua River. However, much of the Indian support needed never materialized, and the Massachusetts town of Haverhill was raided instead. In 1709, Philippe de Rigaud Vaudreuil, governor of New France, reported that two-thirds of the fields north of Boston were untended due to French and Indian raids. French-Indian war parties were returning without prisoners because the New England colonists stayed in their forts and would not come out. In September 1710, 3,600 British and colonial forces led by Francis Nicholson finally captured Port Royal after a siege of one week. This ended official French control of the peninsular portion of Acadia (present-day mainland Nova Scotia), although resistance continued until the end of the war. Resistance by the Wabanaki Confederation continued in the Battle of Bloody Creek (1711) and raids along the Maine frontier. The remainder of Acadia, present-day eastern Maine and New Brunswick, remained disputed territory between New England and New France. The French in New France's heartland, Canada, opposed attacking the Province of New York. They were reluctant to arouse the Iroquois, who they feared more than they did the British, and with whom they had made the Great Peace of Montreal in 1701. New York merchants were opposed to attacking New France, because it would interrupt the lucrative Indian fur trade, much of which came through New France. Despite the efforts of Peter Schuyler, the Albany commissioner of Indians, to interest them in the war, the Iroquois maintained their neutrality throughout the conflict. Francis Nicholson and Samuel Vetch, with some financial and logistical support from the queen, organized an ambitious assault against New France in 1709. The plan involved an overland assault on Montreal via Lake Champlain and a sea-based assault by naval forces against Quebec. The land expedition reached the southern end of Lake Champlain, but was called off when the promised naval support for the attack on Quebec never materialized. (Those forces were diverted to support Portugal.) The Iroquois had made vague promises of support for this effort, but successfully delayed sending support until it seemed clear the expedition was going to fail. After this failure, Nicholson and Schuyler traveled to London accompanied by King Hendrick and other sachems to arouse interest in the North American frontier war. The Indian delegation caused a sensation in London, and Queen Anne granted them an audience. Nicholson and Schuyler were successful in their endeavour—the queen gave support for Nicholson's successful capture of Port Royal in 1710. With that success under his belt, Nicholson again returned to England, and gained support for a renewed attempt on Quebec in 1711. The plan for 1711 again called for land and sea-based attacks; its execution was a disaster. A fleet of 15 ships of the line and transports carrying 5,000 troops led by Admiral Hovenden Walker arrived at Boston in June, doubling the town's population and greatly straining the colony's ability to provide necessary provisions. Sailing for Quebec at the end of July, the expedition entered the Gulf of Saint Lawrence, and a number of its ships foundered on the rocky shores near the mouth of the Saint Lawrence in the fog. More than 700 troops were lost, and Walker called the expedition off. In the meantime, Nicholson had departed for Montreal overland, but had only reached Lake George when word of Walker's disaster reached him; he also turned back. In this expedition, the Iroquois provided several hundred warriors to fight with the English, but they also sent warnings of the expedition to the French. This detail from a 1744 map shows the Avalon Peninsula of Newfoundland, where most of the conflicts took place. English fleet commanders contemplated, but did not make, attacks on Plaisance in 1703 and 1711 (the latter by Admiral Walker in the aftermath of the disaster at the mouth of the St. Lawrence). By the later years of the war many Abenakis had tired of the conflict despite French pressures to continue raids against New England targets. The peace of Utrecht, however, had ignored Native American interests, and some Abenaki expressed willingness to negotiate a peace with the New Englanders. Governor Dudley organized a major peace conference at Portsmouth, New Hampshire (of which he was also governor). In negotiations there and at Casco Bay, the Abenakis orally objected to British assertions that the French had ceded their territory (present-day eastern Maine and New Brunswick) to Britain, and agreed to a confirmation of boundaries at the Kennebec River and the establishment of government-run trading posts in their territory. The Treaty of Portsmouth, ratified on July 13, 1713 by eight representatives of some of the tribes of the Wabanaki Confederacy, however, included language asserting British sovereignty over their territory. Over the next year other Abenaki tribal leaders also signed the treaty, but no Mi'kmaq ever signed it or any other treaty until 1726. Spanish Florida never really recovered its economy or population due to the effects of the war, and was ceded to Britain following the Seven Years' War in the 1763 Treaty of Paris. Indians that had been resettled along the Atlantic coast chafed under British rule, as did those allied to the British in this war. This discontent flared into the 1715 Yamasee War that posed a major threat to South Carolina's viability. The loss of population in the Spanish territories contributed to the 1732 founding of the Province of Georgia, which was, like Carolina, granted on territory Spain had originally claimed. Following military action by James Moore against the Tuscaroras of North Carolina (part of the Tuscarora War begun in 1711), many of them fled north as refugees to join their linguistic cousins, the Iroquois. The economic costs of the war were high in some of the southern English colonies, including those that saw little military activity. Virginia, Maryland, and Pennsylvania to a lesser extent, were hit hard by the cost of shipping their export products (primarily tobacco) to European markets, and also suffered because of several particularly bad harvests. South Carolina accumulated a significant debt burden to finance military operations. Although Massachusetts and New Hampshire were on the front line of the war, the New England colonies suffered less economic damage than other areas. The importance of Boston as a center of shipbuilding and trade, combined with a financial windfall caused by the crown's military spending on the 1711 Quebec expedition, offset some of the costs of waging the war. The loss of Newfoundland and Acadia restricted the French presence on the Atlantic to Cape Breton Island. French settlers from Newfoundland were resettled there, creating the colony of Île-Royale, and France constructed the Fortress of Louisbourg in the following years. This presence, combined with the rights to use the Newfoundland shore, resulted in continued friction between French and British fishing interests, which was not fully resolved until late in the 18th century. The economic effects of the war were severe in Newfoundland, with the fishing fleets plying its waters significantly reduced. The British fishing fleet began to recover immediately after the peace was finalized. The British attempted to prevent Spanish ships from fishing in Newfoundland waters, as they previously had. However, many Spanish ships were simply reflagged with English straw owners to evade British controls. The British capture of Acadia had long-term consequences for the Acadians and Mi'kmaq living there. Britain's hold on Nova Scotia was initially quite tenuous, a situation that French and Mi'kmaq resistance leaders capitalized on. British relations with the Mi'kmaq after the war developed in the context of British expansion not just in Nova Scotia, but also along the Maine coast, where New Englanders began moving into Abenaki lands, often in violation of previous treaties. 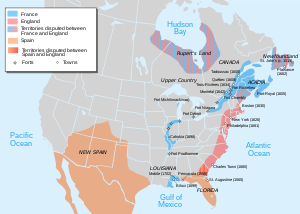 Since neither the Abenakis nor the Mi'kmaq were recognized in the Treaty of Utrecht and the 1713 Portsmouth treaty was interpreted differently by them than by the New England signatories, the Mi'kmaq and Abenakis resisted these incursions into their lands. This conflict, abetted by French intriguers like Sébastien Rale, developed into Father Rale's War (1722–1727). British relations with the nominally conquered Acadians were also difficult. Repeated British demands that Acadians swear oaths to the British crown were resisted, and eventually sparked an exodus by the Acadians to Île-Royale and Île-Saint-Jean (present-day Prince Edward Island). 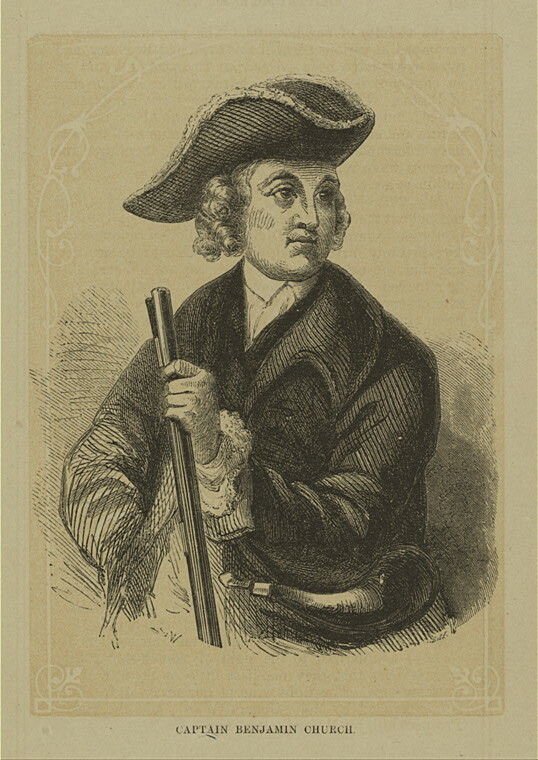 By the 1740s French leaders like Father Jean-Louis Le Loutre orchestrated a guerrilla war with their Mi'kmaq allies against British attempts to expand Protestant settlements in peninsular Nova Scotia. Friction also persisted between France and Britain over Acadia's borders. The boundaries laid out by the treaty were unclear, which even the French had never really formally described. France insisted that only the Acadian peninsula (modern Nova Scotia except Cape Breton Island) was included in the treaty, and that they retained the rights to modern New Brunswick. The disputes over Acadia, which flared into open conflict during King George's War in the 1740s, would not be resolved until the British conquest of all French North American territories in the area in the Seven Years' War. The French did not fully comply with the commerce provisions of the Treaty of Utrecht. They attempted to prevent English trade with remote Indian tribes, and erected Fort Niagara in Iroquois territory. French settlements on the Gulf Coast continued to grow, with the settlement of New Orleans in 1718, and other attempts, ultimately unsuccessful, to expand into Spanish-controlled Texas and Florida. French trading networks penetrated the continent along the waterways feeding the Gulf of Mexico, renewing conflicts with both the British and the Spanish. Trading networks established in the Mississippi River watershed, including the Ohio River valley, also brought the French into more contact with British trading networks and colonial settlements that crossed the Appalachian Mountains. Conflicting claims over that territory eventually led to war in 1754, when the French and Indian War broke out. ↑ 1.0 1.1 1.2 In 1707, the kingdoms of England and Scotland were unified as the Kingdom of Great Britain, sharing a single Parliament at Westminster under the Act of Union 1707. After this, Scottish troops joined their English counterparts in all colonial wars. ↑ 2.0 2.1 2.2 2.3 2.4 2.5 2.6 Most casualties numbers are as reported in Peckham, p. 74. Notably missing are Acadian and Newfoundland casualties, and he does not attempt to quantify Indian casualties. ↑ The first Indian War was King Philip's War, the second was King William's War and the fourth was Father Rale's War. See Taylor, Alan. Writing Early American History. Philadelphia: University of Pennsylvania Press, 2005; pg. 74. ↑ 4.0 4.1 4.2 William Williamson. The history of the state of Maine. Vol. 2. 1832. p. 27; Griffiths, E. From Migrant to Acadian. McGill-Queen's University Press. 2005. p.61; Campbell, Gary. The Road to Canada: The Grand Communications Route from Saint John to Quebec. Goose Lane Editions and The New Brunswick Heritage Military Project. 2005. p. 21. ↑ "Biography of Sebastian Rale". Dictionary of Canadian Biography Online. http://www.biographi.ca/009004-119.01-e.php?&id_nbr=1058. Retrieved 2012-09-28. ↑ See e.g. Parkman (1897) for the later history of British-Acadian conflict. Arnade, Charles W (1962). "The English Invasion of Spanish Florida, 1700–1706". pp. 29–37. JSTOR 30139893. Covington, James (1968). "Migration of the Seminoles into Florida, 1700–1820". pp. 340–357. JSTOR 30147280. Crane, Verner W (1919). "The Southern Frontier in Queen Anne's War". pp. 379–395. JSTOR 1835775. Griffiths, Naomi Elizabeth Saundaus (2005). From Migrant to Acadian: a North American Border People, 1604–1755. Montreal: McGill-Queen's University Press. ISBN 978-0-7735-2699-0. OCLC 180773040. Oatis, Steven J (2004). A Colonial Complex: South Carolina's Frontiers in the Era of the Yamasee War, 1680–1730. Lincoln, NB: University of Nebraska Press. ISBN 978-0-8032-3575-5. OCLC 470278803. http://books.google.com/books?id=_rcFu4KjwVAC&lpg=PA42&dq=%22Queen%20Anne's%20War%22%20Carolina&pg=PA42#v=onepage&q=%22Queen%20Anne's%20War%22%20Carolina&f=false. Stone, Norman (ed) (1989). The Times Atlas of World History (Third ed.). Maplewood, NJ: Hammond. pp. 161, 165. ISBN 0-7230-0304-1.